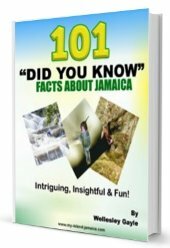 What was Christmas In Jamaica really like? I was moved by this video by Aunty Faye! Despite the fact that it was Pat (Patricia Lewis), one of my ardent subscribers, who sent me this video (yeah it was the actual video file), I hesitated opening it, and you'd probably understand why with so much scam and spam going online. New! What's Your Best Memory Of Old Time Christmas In Jamaica? Please share it with us here! Others can't wait to hear. There she was, my hero and one of the most revered Jamaican cultural icon, Faye Ellington (Aunty Faye), reminscing about old time Jamaica! The entire 6 minutes and 33 seconds, resonated with me, well except the Johncunnu band! Of course, I couldn't keep it to myself - I had to share it with you!!!!!!!!!!!!!! Here are my main takeaways below. But one item really had me smiling ear to ear... wanna guess which one? Meaning fruits are in season! She mentioned the tangerine, the gungo peas and the Christmas peas. I'll also drop in sorrel! That Christmas peas, by the way, is what we (in Westmoreland) called the Jerusalem peas. I noticed that it is still at our family home - I will certainly try and have some this year! Cleaning out of the cabinet! And we took pride in it! Everything came out and washed. All the crockery! Plates, cups, forks and saucers! Some of which was never, and will never be used! 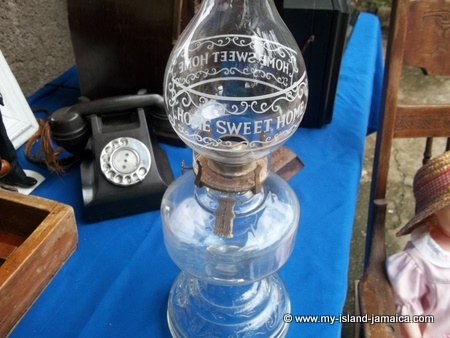 There might have been all types of lampshade (for the kerosene oil lamps), but 'the lampshade' is the home sweet home'. That had to be cleaned thoroughly too. We had that too! And my uncles and bigger cousins can probably relate to that more, during my growing up though I notice that my grandparents trended toward what we called, the 'Bog Fowl'. Those are the older layers that are sold by the big chicken farmers in Bog (a community in Westmoreland). I remember us getting up in the wee hours of the morning and walking miles to Bog (yeah the community is actually called Bog) to buy the chickens - you should see me with my town, one under each of my arms! Cleaning up the yard and whitewashing the gate/tree trunks! From top to bottom, from front to back! We took extra pride at Christmas in cleaning our surroundings. The Christmas Cards on a string! This is the one that cracked me up! If Aunty Faye didn't mention it, I probably would have forgotten this practice - seriously! Yeah, all the Christmas cards from family and friends were hung on a string (above head) in the living (the hall) area. And this includes cards from last year, the year before and several other years prior. The ones from Aunt Estell (from England) always featured prominently; they actually looked more expensive too! Aunty Faye mentioned 'Chrismus a come mi wah mi Llama' and that is perhaps one of the most popular - even today! This is probably my only disappointment as a child. I never experienced it then, but I've seen it relived quite a few times, even recently at First Dance Studios' Timeline drama presentation recently in Montego Bay. The Food - yum, yum (or should I say daa?)! Yes, Rice & Peas & Chicken, pork, curried goat (usually a ram goat is killed), fruit cake and yes, sorrel! But bear in mind that these are had right throughout the season - not just Christmas day! And did I tell you that we 'feel' Christmas coming without even knowing the day or month. Yeah, us Jamaicans can tell you, just by the look and feel of the atmosphere outside - it seems the tranquil breeze and the dimmed sunlight blends nicely to create this effect. Well, I have a lot of great childhood memories of my Jamaican Christmas - in addition to all that Aunty Faye mentioned! From the school fair in Salem (which we saved from from selling pimento seeds) to aunt Gloria coming from the market - with the smell of the market seasonings in the basket filling the air, and from the toy trucks to the fefe and toy waterguns we couldn't wait to get by grand market night! But perhaps the most memorable moments of old time Jamaican Christmas for me are the days when we were playing in the tall grass below our house - probably hide and seek. These usually get really tall at Christmas time too. And while playing, I could smell the captivating aroma of the soups, curried goat and fried pork emanating from our outdoor board kitchen. And by the way, do you remember that blue soft 'vinsen yam'? Thanks for the wonderful memories Aunty Faye, you are certainly a beacon for Jamaica - keep shining! What was Old Time Christmas In Jamaica like for you? Please share it with us here! We can't wait to hear! Remember The Good Ole Jamaican Christmas? Our friendly Jamaican online community can't wait to hear from you? C'mon, don't make it so complex....just start typing as the memories comes to you.